I am checking my collection of Jameides, Cerulean, images, taken over the last 10 years as now, with better information available, some would seem to be incorrect. I would be grateful for some feedback/confirmation on the images below as they are giving me problems. Image 1a. Photographed Bang Lang NP, extreme southern Thailand on Malaysia border. I think this is Jamides parasaturata, Glassy Cerulean. Image 1b. Same individual as image 1a. Image 2. Photographed Thong Pha Phum NP, Kanchanburi, western Thailand. I think this is Jamides celeno, Common Cerulean. Image 3. Photographed at Kaeng Krachan, northern Penisnula Thailand. Given the extent of the two metallic bars in the black spot I think Jamides pura, White Cerulean. Image 4. Photographed Kaeng Tana NP, extreme eastern Thailand. Not sure at all on this one. The extent of the two metallic bars looks like Jamides pura, but I note the very "lumpy" white bar on the forewing. An interesting individual. Image 5. Photographed Khao Soi Dao WS, southeast Thailand. Image 6a. Photographed at Krung Ching (Khao Luang NP), southern Thailand. I think Jamides pura, White Cerulean. Image 6b. Same individual as image 6a. 5. Male J. pura.. 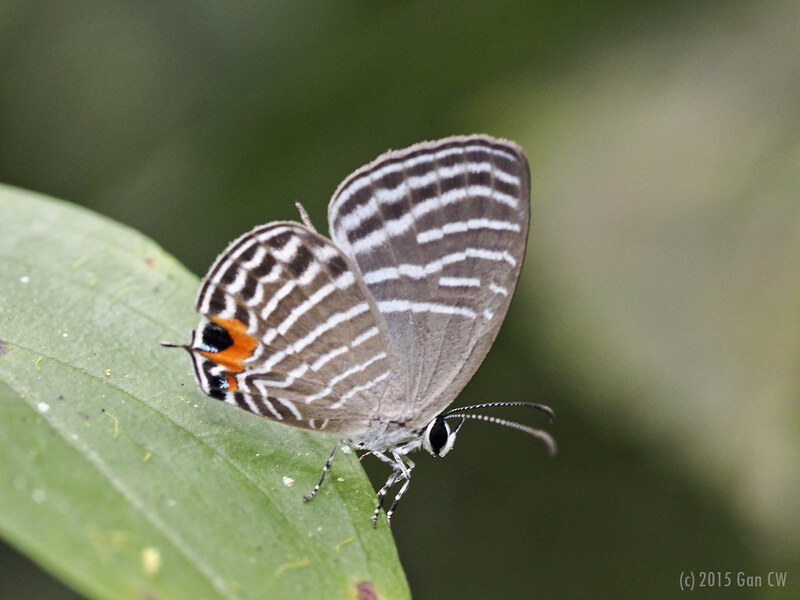 Note black spot with long silvery sidebars; FW upperside margin visible & blue all the way. J. malaccanus & parasaratus; HW all 6 white striae reach the top. J. malaccanus; HW orange patch merges with the white striae to the inside. J. parasaratus HW orange patch & white stria separated by a black streak. J. celeno, pura & zebra. HW with one of the white stria shorter & not reaching the top. J. zebra. :HW striae 5 & 6 dislocated at vein 6; FW postdiscal outer margin crenate (scalloped). J. pura :HW striae 5 & 6 not dislocated at vein 6; sidebars in black spot long. J. celeno: HW striae 5 & 6 not dislocated at vein 6; Side bars in spot short or variable. Many thanks for that detailed feedback. 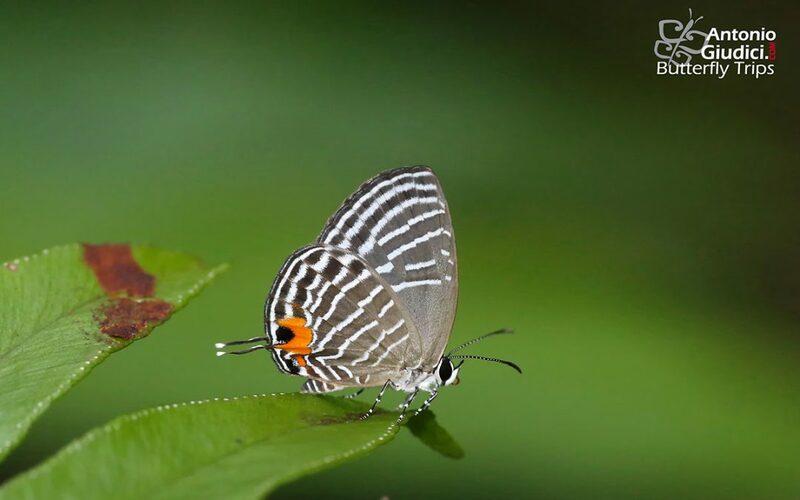 The record of J. zebra is extremely interesting as the species is not currently on the Thai list (see www.thaibutterflies,com). The only mention of this species for Thailand is mentioned in Pinratana,1981 from deep south of Thailand (Yala).